Once a year we crack open Grandmas recipe book and bake up some of our favorite holiday treats. 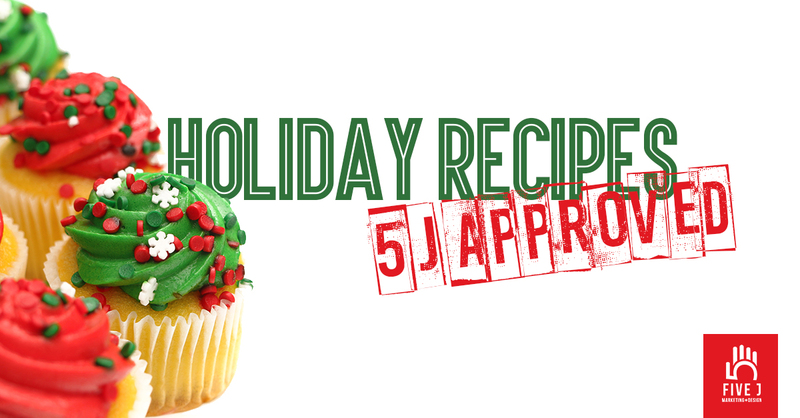 Here are a few of our favorite holiday recipes. 5J Approved! Divide the dough in half. Roll out each half on a lightly floured surface to ¼-inch thick, then cut with 2 to 3-inch cookie cutters. Re-roll any scrap pieces of sugar cookie dough and cut out more cookies as needed. Place the cookies 2-inches apart on the prepared baking sheets. No Bake Peanut Butter Balls "Zach"
Ingredients above are for one batch. I did a QUADRUPLE recipe because it freezes well and I feel like it’s easier to make it only once in higher quantities! Plus, I love sharing! . 3. Remove from heat and allow to cool slightly (enough so you won’t get burned). 4. Use a potato masher to mash the berries. 5. Strain the mixture through a mesh strainer. Press on the mash to get all the liquid out. 6. Before it cools completely, add the honey and then the essential oils. 7. Divide into jars or freezer safe containers. It freezes well!